Tokorozawa Factory - ADVANCE CO., LTD. 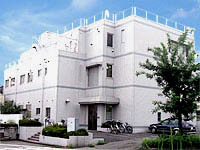 The Tokorozawa Factory is ADVANCE's medical devices factory established for the purpose of making meaningful proposals and contributions not only to medical, dental and related institutions but more broadly to society in general by commercializing the fruits of our long-sustained R&D efforts in the medical and dental fields. 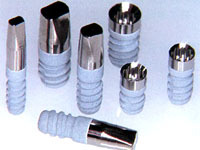 The artificial root (AQB implant) is one of the company’s major products produced at the Tokorozawa Factory with its sophisticated manufacturing technologies and stringent quality control. AQB implant products have been widely used in dental clinics and hospitals around Japan, and highly appreciated by dentists and patients with respect to their safety and functionality. Quality and production control requirements for medical device manufacturers are becoming increasingly stringent and specialized today. 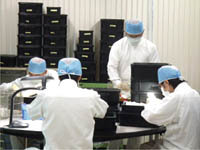 In response to this environment, we at the Tokorozawa Factory always implement high-level control activities to ensure the supply of safe, high quality products. With respect to product improvements and new product production launches, project teams including both R&D and factory staff give extensive consideration to every aspect of design specifications, manufacturing technologies, production equipment and so on. We are promoting technological advancement and working to enhance all other aspects of our operations in order to deliver more products that are innovative and tender to humans in the future.